Katherine and Matthew stopped by our Sioux City store to pick up their Moen Engage hand shower! Thank you for signing up for our giveaway! 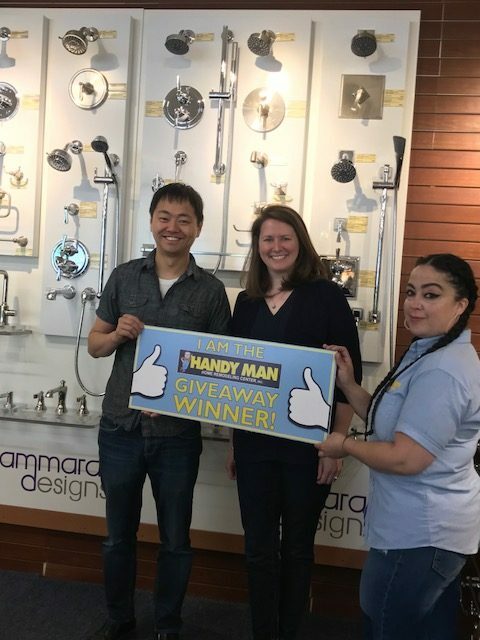 Congratulations Delta Faucet Giveaway Winners! 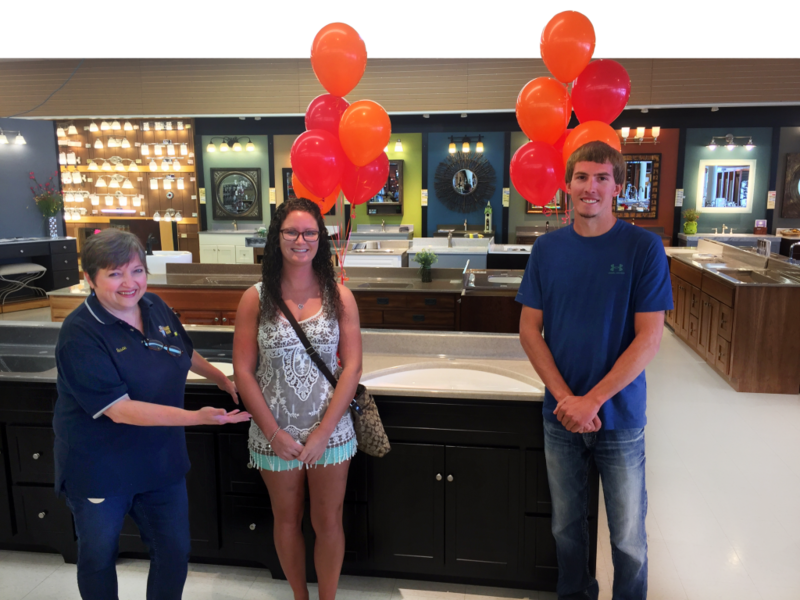 Mike & Jodi came to the Sioux Falls location to claim their prize of 3 new Delta faucets! One for their kitchen, one for their bathroom, and one for their shower. Their total package is worth over $700! Thank you for entering our giveaway! Congratulations to our three giveaway winners! 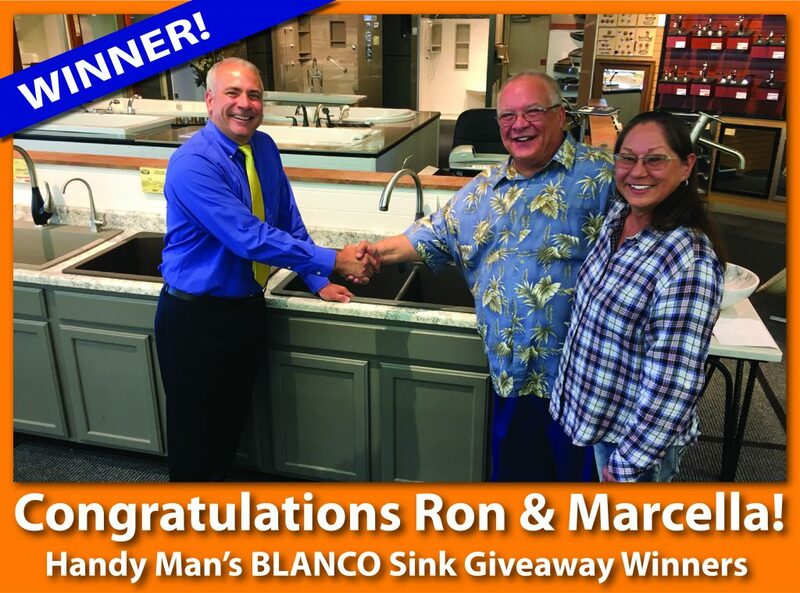 Each winner received a Moen GXL1000c Garbage Disposal and Mountain Plumbing Air Switch. Thank you for participating in our event – we’re glad we could help you get your kitchen ready for the Holidays! In a world of smart homes and smart cars, it’s time to introduce the smart shower! The U by Moen fully integrates the power of technology with the experience of a rejuvenating shower. Instead of controlling your shower temperature and spray pattern with handles or knobs, a small digital control panel is placed in your shower that can be set to a specific temperature, time limit, and pre-set. For example, if you prefer a hot shower in the morning and a cooler one after a workout, you can set it so. The absence of levers and knobs makes shower cleaning a breeze and leaves your shower looking less cluttered. The water-saving abilities are abundant with the U shower. Too often users turn on the shower, get distracted, and forget the shower is running while gallons of clean fresh water pour down the drain. The pause function not only saves water for the environment, but also saves you money on your water bill. You may also save water by programming the timer function. Reduce your water usage by setting a 5-minute shower limit. For each 5-minutes the shower is running, approximately 12 gallons go down the drain. By limiting, or simply being conscious of your time spent in the shower, you can drastically reduce your water bill. By connecting your smartphone to the U by Moen, you can start the shower from anywhere in your home. When the water temperature meets the programmed setting, it will pause the water and let you know that your shower is ready to go! With all of the technological advances in kitchens and bathrooms, the U by Moen will be welcomed along with touch and motion faucets, electric mirrors, washlet toilet seats, and more! Find and experience all of these items in Handy Man’s showroom! 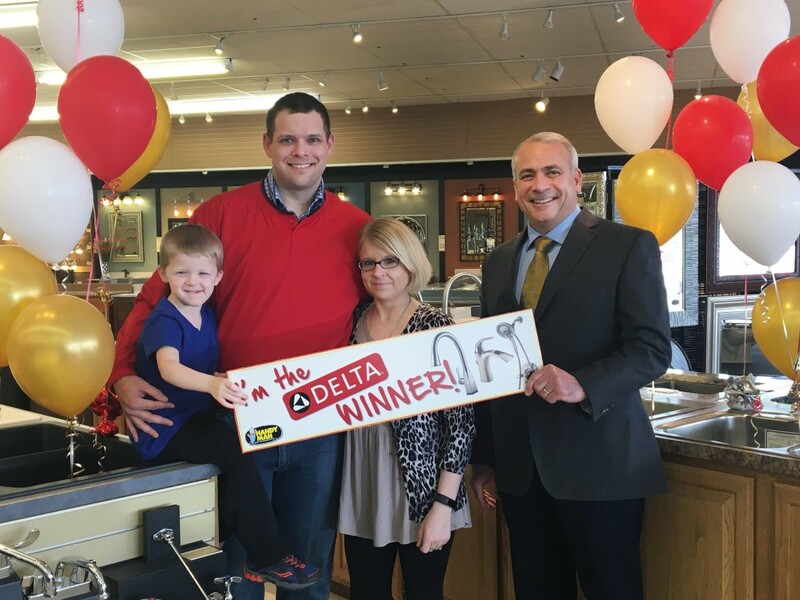 Congratulations Mark, our Delta Faucet Giveaway Winner! 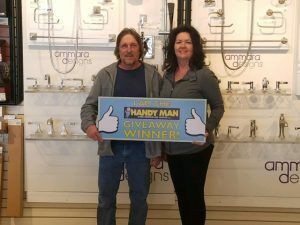 Congratulations to Mark, our Delta Faucet Giveaway winner! 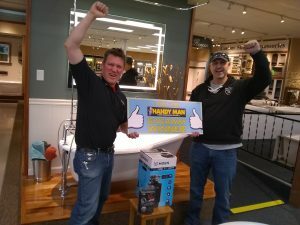 Mark’s family met Handy Man President Joe Swenson at our Sioux Falls store to claim their prize. You could be our next winner! 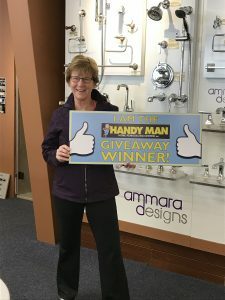 Visit your local Handy Man to get the latest information on product giveaways and contests! Congratulations to our 70th Anniversary Giveaway winner! 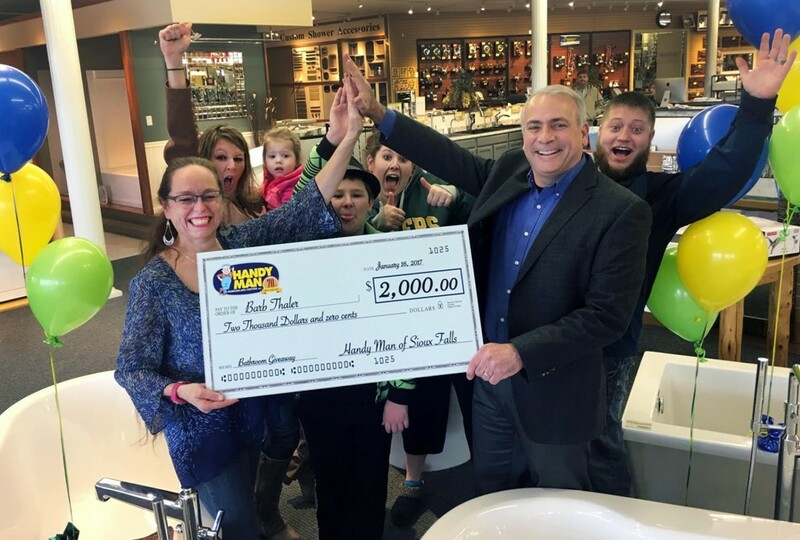 Congratulations to Barb Thaler, our $2,000 70th Anniversary Giveaway winner! 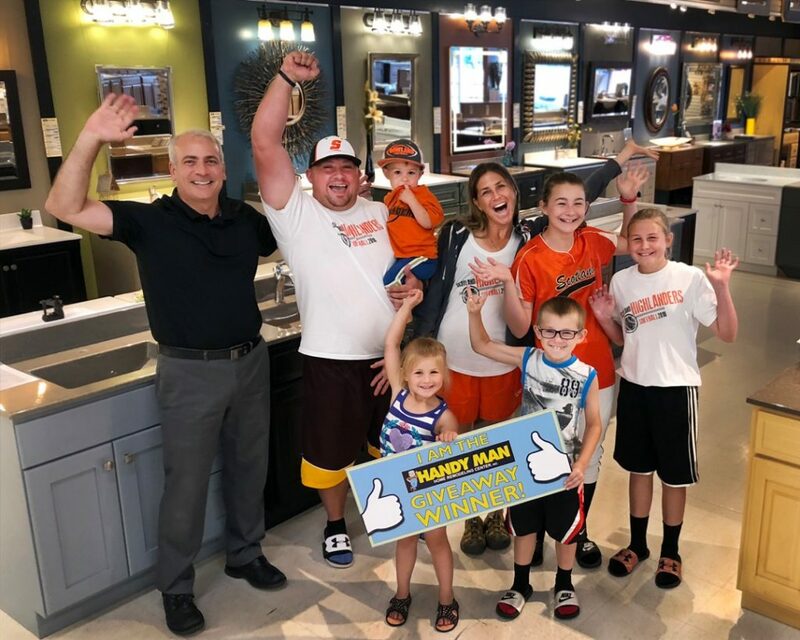 On Monday, Handy Man President Joe Swenson greeted Barb and her family at our Sioux Falls store and presented them with “the big check” and a high-five. We look forward to helping you complete your dream bathroom project! 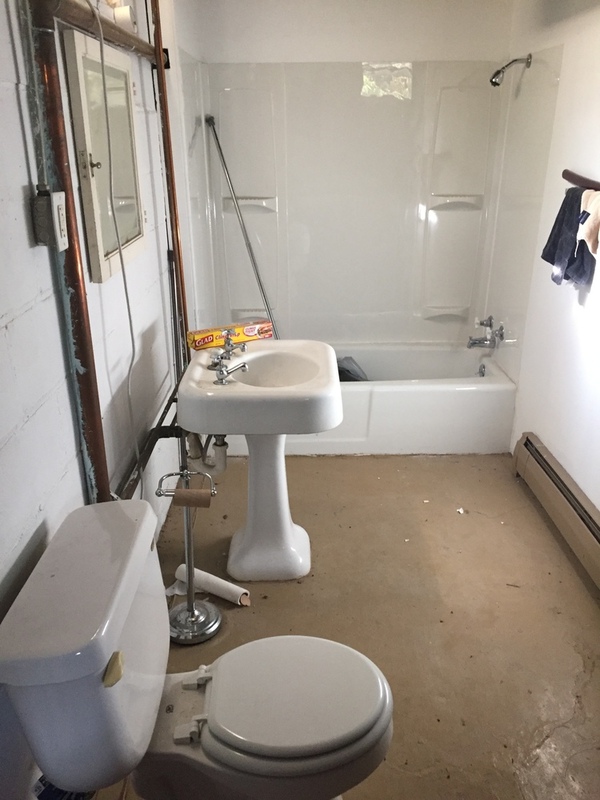 Congratulations to Our Ugly Bathroom Contest Winner! 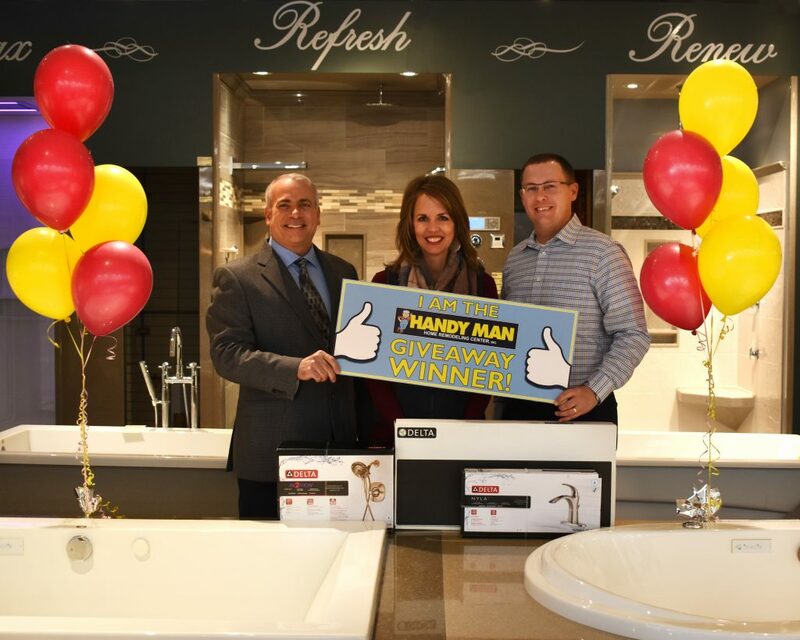 Handy Man President Joe Swenson with winner Cassandra Bertwell and Lincoln store manager Mike Folsom. Congratulations to Cassandra Bertwell, the winner of our $2,000 Ugly Bathroom Contest! 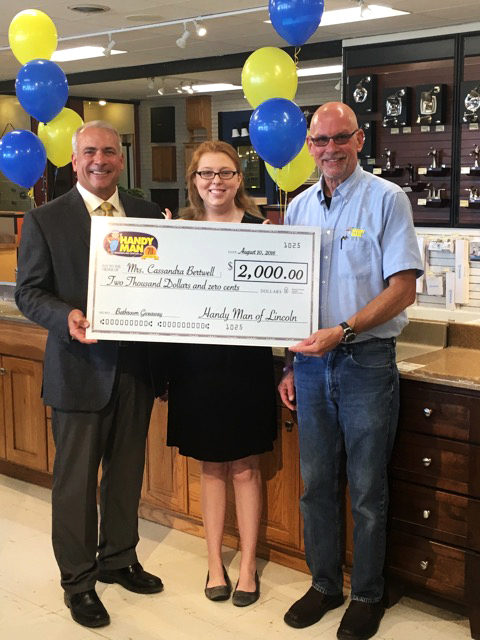 On Wednesday, August 10th, Handy Man President Joe Swenson and store manager Mike Folsom met Cassandra at our Lincoln store and presented her with her prize. We look forward to helping Cassandra update her bathroom, pictured below, that received 5,918 votes in 16 days! Ugly Bathroom Contest Winner Cassandra Bertwell’s photo entry.